By the Healthy Nation Coalition, Well Being Journal, Vol. 24, No. 2. At the conclusion of the sixth meeting of the 2015 Dietary Guidelines Advisory Committee (DGAC), we write to express concern about the state of federal nutrition policy and its long history of failure in preventing the increase of chronic disease in America. The tone, tenor, and content of the DGAC’s public meetings to date suggest that the 2015 Dietary Guidelines for Americans (DGAs) will perpetuate the same ineffective federal nutrition guidance that has persisted for nearly four decades but has not achieved positive health outcomes for the American public. • They have contributed to the increase of chronic diseases. • They have not provided guidance compatible with adequate essential nutrition. • They represent a narrow approach to food and nutrition inconsistent with the nation’s diverse cultures, ethnicities, and socioeconomic classes. • They are based on weak and inconclusive scientific data. • They have expanded their purpose to issues outside their original mandate. In 1977, dietary recommendations (called Dietary Goals) created by George McGovern’s Senate Select Committee advised that, in order to reduce risk of chronic disease, Americans should decrease their intake of saturated fat and cholesterol from animal products and increase their consumption of grains, cereal products, and vegetable oils. These Goals were institutionalized as the DGAs in 1980, and all DGAs since then have asserted this same guidance. During this time period, the prevalence of heart failure and stroke has increased dramatically. Rates of new cases of all cancers have risen. Most notably, rates of diabetes have tripled. In addition, although body weight is not itself a measure of health, rates of overweight and obesity have increased dramatically. While some argue that Americans have not followed the DGAs, all available data show Americans have shifted their diets in the direction of the recommendations: consuming more grains, cereals, and vegetable oils, while consuming less saturated fat and cholesterol from whole foods such as meat, butter, eggs, and full-fat milk. Whether or not the public has followed all aspects of the DGAC’s guidance does not absolve the U.S. Departments of Agriculture (USDA) and Health and Human Services (DHHS) from ensuring that the dietary guidance provided to Americans first and foremost does no harm. The 1977 Dietary Goals marked a radical shift in federal dietary guidance. 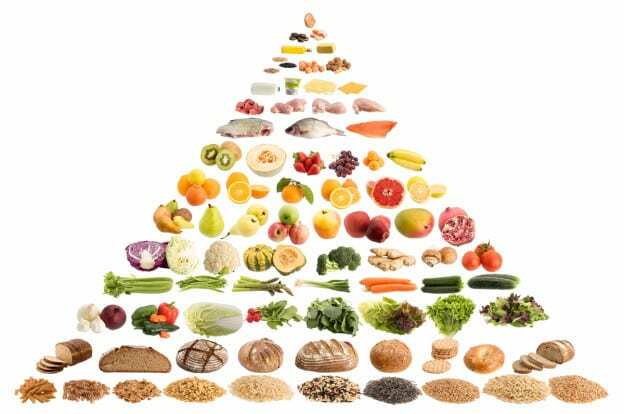 Before then, federal dietary recommendations focused on foods Americans were encouraged to eat in order to acquire adequate nutrition; the DGAs focus on specific food components to limit or avoid in order to prevent chronic disease. The DGAs have not only failed to prevent chronic disease, but in some cases, they have also failed to provide basic guidance consistent with nutritionally adequate diets. Maillot, Monsivais, and Drewnowski (2013) showed that the 2010 DGAs for sodium were incompatible with potassium guidelines and with nutritionally adequate diets in general. Choline was recognized as an essential nutrient in 1998, after the DGAs were first created. It is crucial for healthy prenatal brain development. Current choline intakes are far below adequate levels, and choline deficiency is thought to contribute to liver disease, atherosclerosis, and neurological disorders. Eggs and meat, two foods restricted by current DGAC recommendations, are important sources of choline. Guidance that limits their consumption thus restricts intake of adequate choline. In young children, the reduced fat diet recommended by the DGAC has also been linked to lower intakes of a number of important essential nutrients, including calcium, zinc, and iron. Following USDA and DHHS guidance should not put the most vulnerable members of the population at risk for nutritional inadequacy. DGAC recommendations should be emphasizing whole foods that provide essential nutrition, rather than employing a reductionist approach based on single food components to exclude these foods from the diet. McGovern’s 1977 recommendations were based on research and food patterns from middle class Caucasian American populations. Since then, diversity in America has increased, while the DGAs have remained unchanged. DGAC recommendations based on majority-white, high socioeconomic status datasets have been especially inappropriate for minority and low-income populations. When following DGAC recommendations, African American adults gain more weight than their Caucasian counterparts, and low-income individuals have increased rates of diabetes, hypertension, and high cholesterol. Long-standing differences in environmental, genetic, and metabolic characteristics may mean recommendations that are merely ineffective in preventing chronic disease in white, middle class Americans are downright detrimental to the long-term health of black and low-income Americans. The DGAC plant-based diet not only ignores human biological diversity, it ignores the diversity of American foodways. DGAC guidance rejects foods that are part of the cultural heritage of many Americans and indicates that traditional foods long considered to be important to a nourishing diet should be modified, restricted, or eliminated altogether: ghee (clarified butter) for Indian Americans; chorizo and eggs for Latino Americans; greens with fatback for Southern and African Americans; liver pâtés for Jewish and Eastern European Americans. Furthermore, recommendations to prevent chronic disease that focus solely on plant-based diets is a blatant misuse of public health authority that has stymied efforts of researchers, academics, healthcare professionals, and insurance companies to pursue other dietary approaches adapted to specific individuals and diverse populations, specifically, the treatment of diabetes with reduced-carbohydrate diets that do not restrict saturated fat. In contradiction of federal law, the DGAs have had the effect of limiting the scope of medical nutrition research sponsored by the federal government to protocols in line with DGAC guidance. The science behind the current DGAC recommendations is untested and inconsistent. Scientific disagreements over the weakness of the evidence used to create the 1977 Dietary Goals have never been settled. Recent published accounts have raised questions about whether the scientific process has been undermined by politics, bias, institutional inertia, and the influence of interested industries. 5. A low-sodium diet reduces risk of chronic disease: A 2013 Institute of Medicine report concludes there is insufficient evidence to recommend reducing sodium intake to the very low levels set by the DGAC for African-Americans of any age and adults over 50. To continue reading see the full article in Vol. 24, No. 2, March/April 2015 (available in print or digital format) of the Well Being Journal. Full article also available at: http://forahealthynation.org.